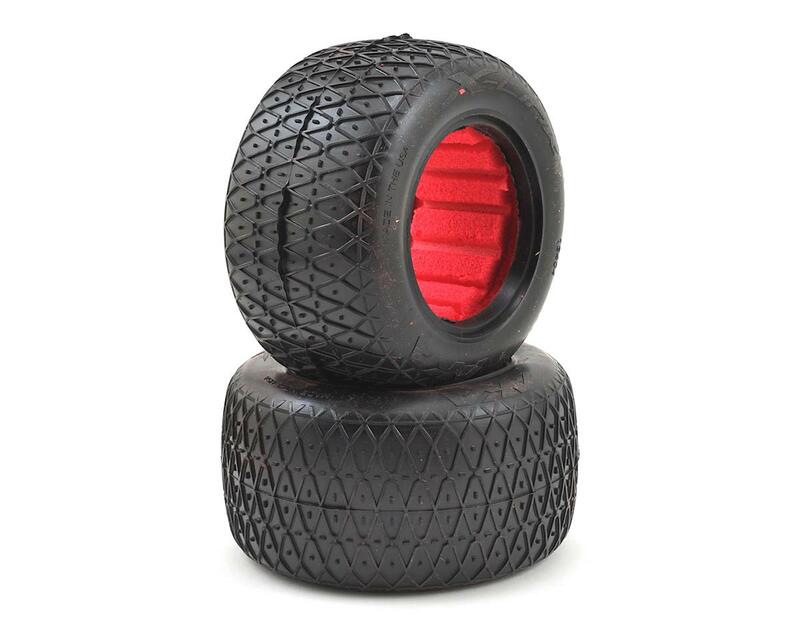 This is a pack of two AKA Crosslink 2.2" Off-Road Truck Tires with included red inserts. The Crosslink features a symmetrical open tread pattern designed to break in quickly and provide unmatched forward traction. This additional forward traction is perfect for today's high powered 1/10 stadium trucks and allows a more aggressive steering setup without the worry of losing on-power control. 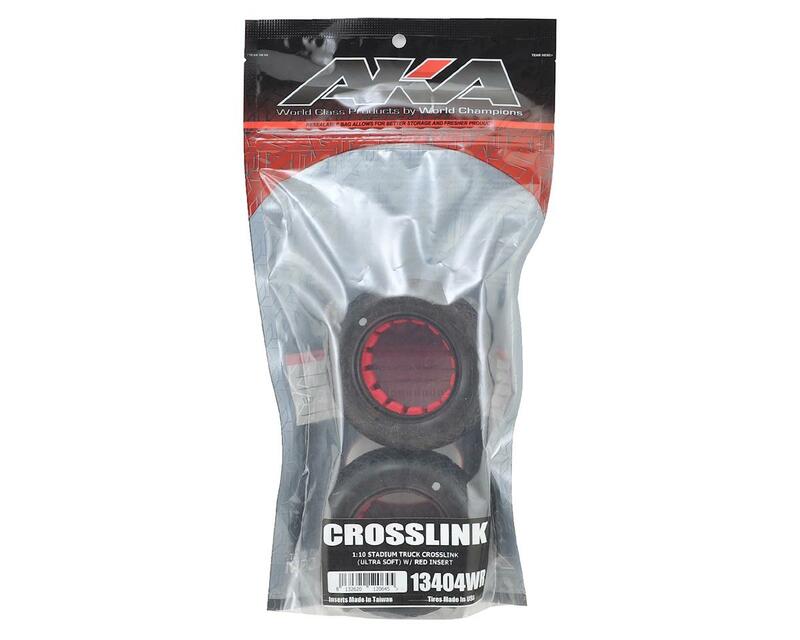 The Crosslink has been designed for hard packed or blue groove, indoor and outdoor tracks. Available in championship winning Clay, Ultra Soft and Super Soft compounds with Red inserts.